The rules and practices for Scrum-a simple process for managing complex projects-are few, straightforward, and easy to learn. But Scrum's simplicity itself-its lack of prescription-can be disarming, and new practitioners often find themselves reverting to old project management habits and tools and yielding lesser results. 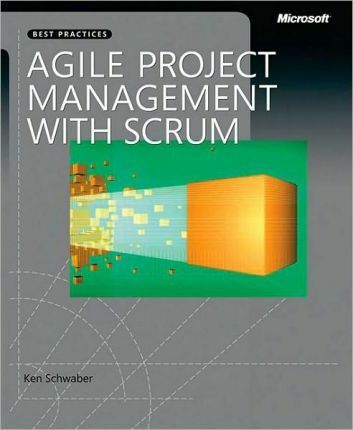 In this illuminating series of case studies, Scrum co-creator and evangelist Ken Schwaber identifies the real-world lessons-the successes and failures-culled from his years of experience coaching companies in agile project management. Through them, you'll understand how to use Scrum to solve complex problems and drive better results-delivering more valuable software faster. The rules and practices for Scruma simple process for managing complex projectsare few, straightforward, and easy to learn. But Scrums simplicity itselfits lack of prescriptioncan be disarming, and new practitioners often find themselves reverting to old project management habits and tools and yielding lesser results. In this illuminating series of case studies, Scrum co-creator and evangelist Ken Schwaber identifies the real-world lessonsthe successes and failuresculled from his years of experience coaching companies in agile project management. Through them, youll understand how to use Scrum to solve complex problems and drive better resultsdelivering more valuable software faster. Rein in even the most complex, unwieldy projectsEffectively manage unknown or changing product requirementsSimplify the chain of command with self-managing development teamsReceive clearer specificationsand feedbackfrom customersGreatly reduce project planning time and required toolsBuildand releaseproducts in 30-day cycles so clients get deliverables earlierAvoid missteps by regularly inspecting, reporting on, and fine-tuning projects Support multiple teams working on a large-scale project from many geographic locationsMaximize return on investment! A 30-year veteran of the software development industry, Ken Schwaber is a leader of the agile process revolution and one of the developers of the Scrum process. A signatory of the Agile Manifesto in 2001, he subsequently founded the Agile Alliance and the Scrum Alliance. Ken authored Agile Project Management with Scrum and coauthored Agile Software Development with Scrum and has helped train more than 47,000 certified ScrumMasters.